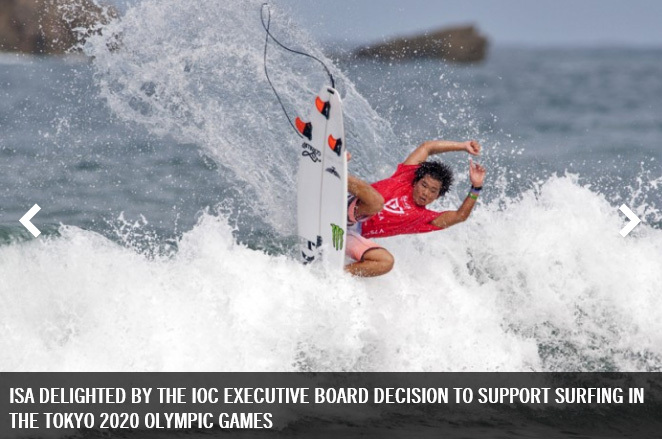 The International Surfing Association (ISA) has today expressed its delight at the decision by the IOC Executive Board to support Surfing for inclusion on the Sports Program for the Tokyo 2020 Olympic Games. The IOC membership will now make the final decision on the sports to be added to the 2020 Program at the 129th IOC Session in Rio de Janeiro in August 2016. "This is a wonderful moment for our sport and for the global Surfing family. Our relationship with the IOC and inclusion in the Olympic Games has been a strategic priority for the ISA for many years and we are thrilled that we are now one step closer to realizing our Olympic dream. I'd like to express our sincere thanks to the IOC Executive Board for providing us with this amazing opportunity. "We are immensely proud of our achievements and the core values that our sport represents. Surfing has incredible youth appeal and a unique culture that would offer huge value to the Olympic Movement. We are aware that the hard work does not stop here. Today's news gives us renewed energy and determination and we look forward to working with the IOC and Tokyo 2020 as we continue on the road to the IOC Session in Rio."